Linden Leaves Gold Toning Face and Body Mist with amaranth and red rice!!! 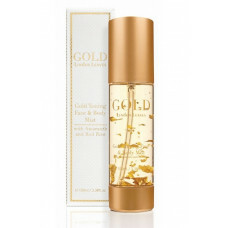 A refreshing mist enriched with amaranth and red rice to help hydrate and restore skin vitality. Enhanced with natural witch hazel and chamomile to soothe, nourish and tone. Hold bottle approximately 30cm away from skin surface and gently mist in a circular motion. May also be spritzed lightly over makeup for an instant refresher. Organic rosehip and avocado oils blended with pure sweet almond and apricot kernel oils, enri..
Linden Leaves Aromatherapy In Love Again Foaming Shower Gel 200ml!!! Pure New Zealand Body Care ..
Linden Leaves Bathtime Ginger Peach Bubble Bath 500ml!!! Pure New Zealand Body Care ..